Above, a rainbow descends over Governor’s Island on July 8, 2017. The fifth way down to the Lake leads to the Winnipesaukee Pier. 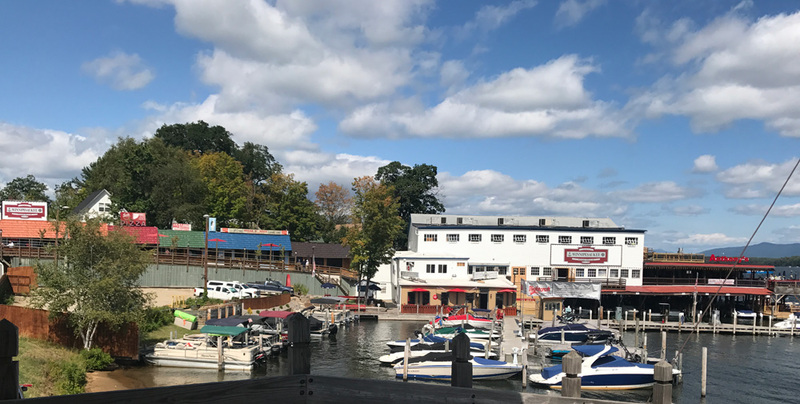 Head down the ramp, passing by several shops, and then, just before reaching the arcade, a set of stairs will lead down to East Coast Flightcraft, where you can rent a boat, if you wish, to further explore the lake (highly recommended). 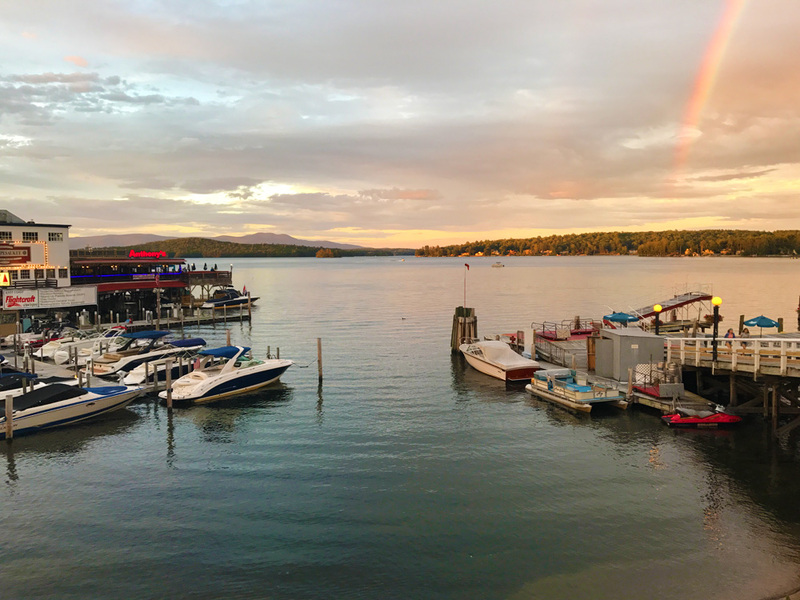 Above, the Winnipesaukee Pier, on September 1, 2017. Above, the fifth way down to the Lake, circa 1965. At the right of the photo, the stairway to the Marina. Click here to see the complete photo. 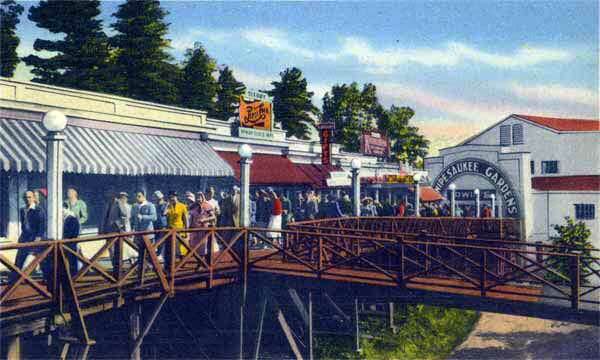 The Winnipesaukee Gardens opened in May 1925, and for 50 years the most famous big bands in America played there. In 1973, the webmaster of this website saw the amazing – and unforgettable – Duke Ellington (1899-1974) at his very last Weirs Beach performance. 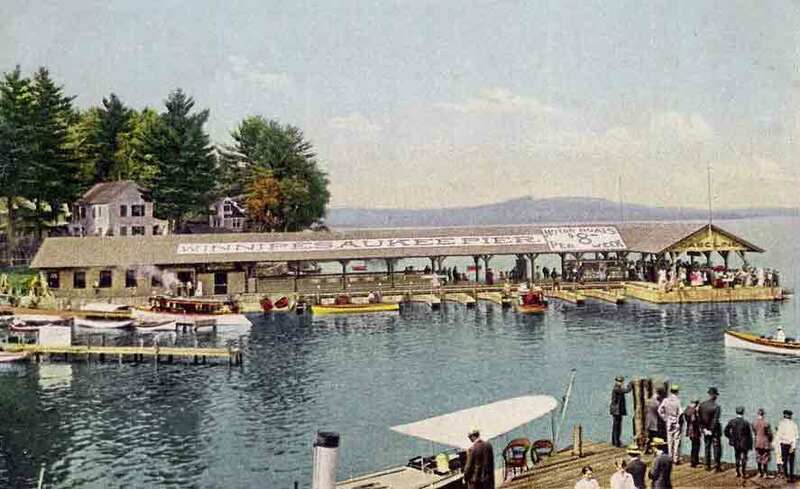 In 1976 the big band era ended forever in Weirs Beach, as the ballroom that once accommodated “2000 dancers” was converted to an arcade, along with a name change to the Winnipesaukee Pier. 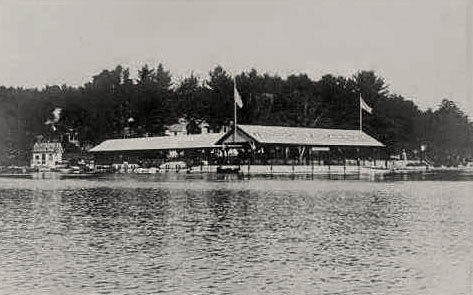 (This was the name of the former boating facility that had occupied the site from 1910-1924, before the Winnipesaukee Gardens had been built.) 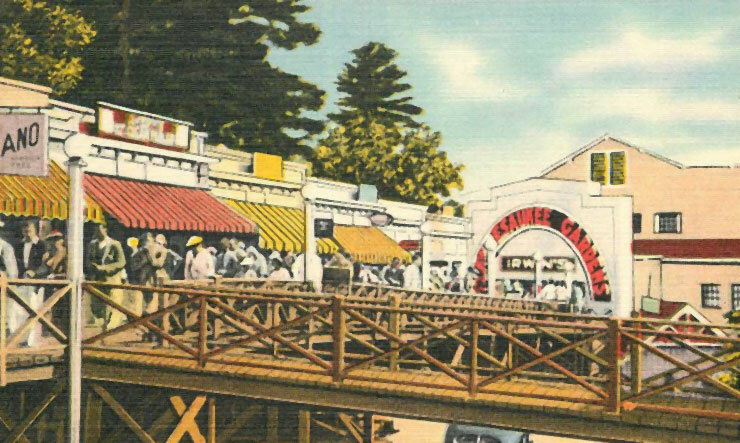 The footbridge seen in the above postcards led to a public bandstand. 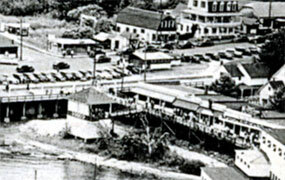 Built in the late 1920’s, the bandstand and footbridge were gone by the late 1950’s. From 1980-2016, a miniature golf course occupied the site of the bandstand. 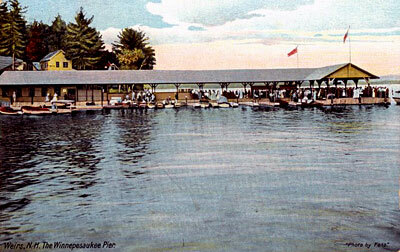 Above is the original Winnipesaukee Pier. Click here to enlarge the above photo and for many bonus pictures. Built in 1910 by H.H. Buffum, this pier only lasted 15 years before it was replaced by the current structure. 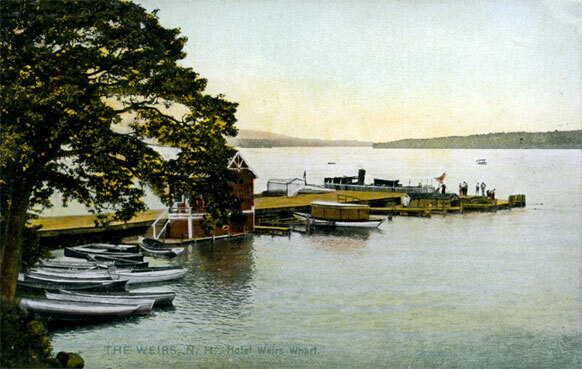 Below, the Hotel Weirs wharf (circa 1885-1910), which preceded the original Winnipesaukee Pier. Click here to enlarge the photo and for many more additional photos and info.